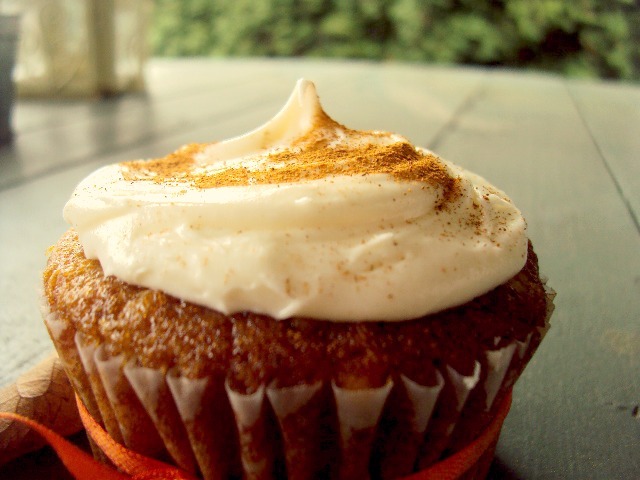 Last week, when I had a late start and I went to the Sandy Fred Meyer, and got a Starbucks along with a cream cheese filled pumpkin muffin, I thought it was too wild. 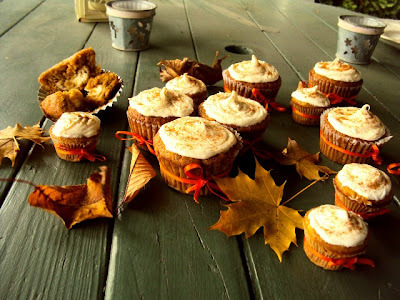 The cream cheese was too sweet, there was an over usage of cream cheese, just a big glob near the top. It was very good, but I wanted to reconstruct it, so this weekend, I reconstructed the Cream Cheese Filled Pumpkin Cupcakes! ~ 14 to 15 ounces (1 can) of pumpkin puree. 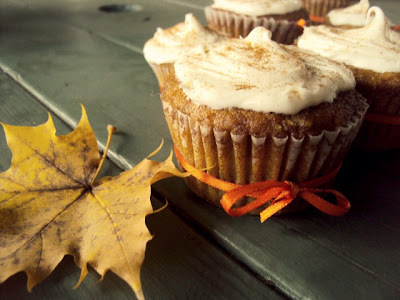 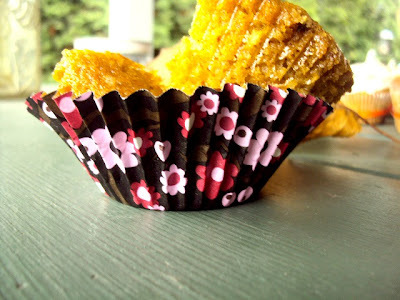 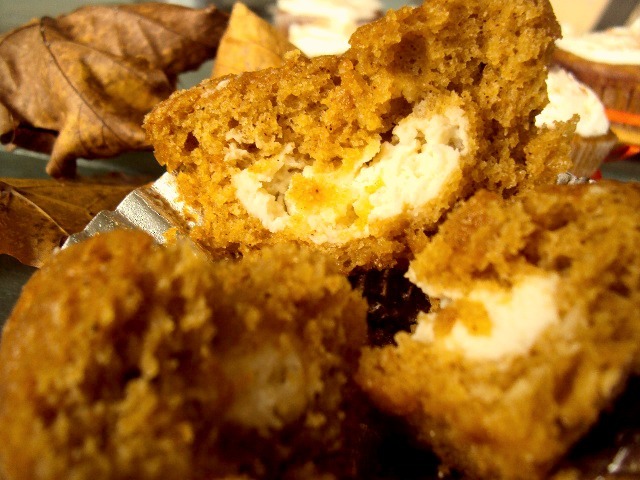 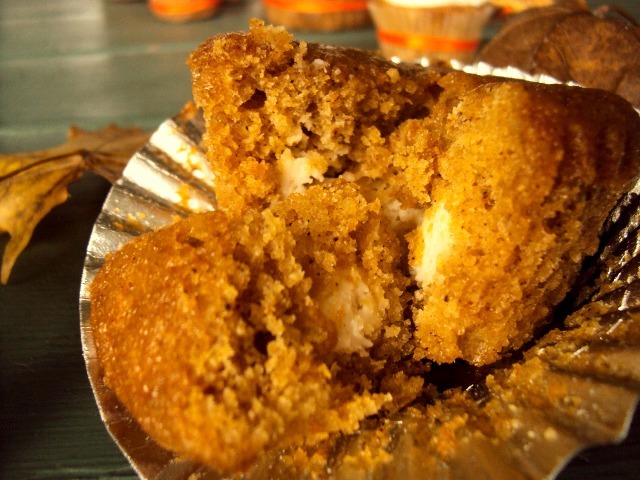 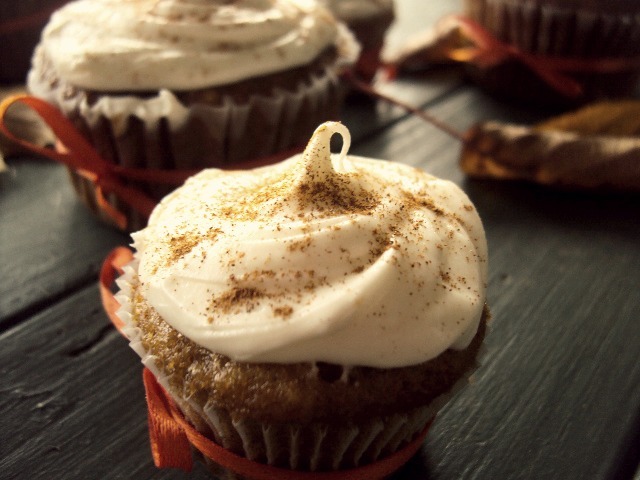 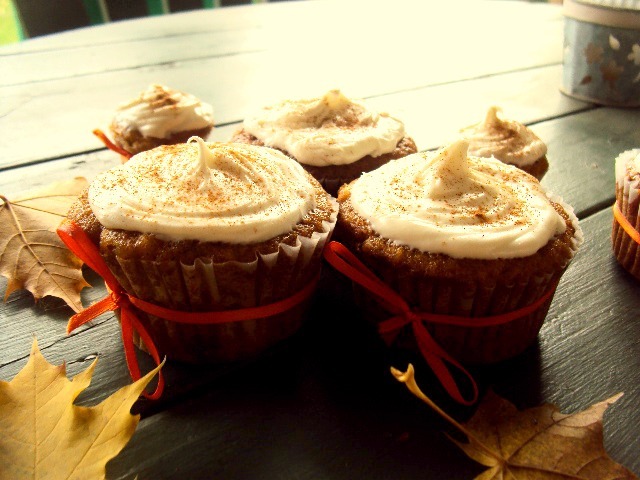 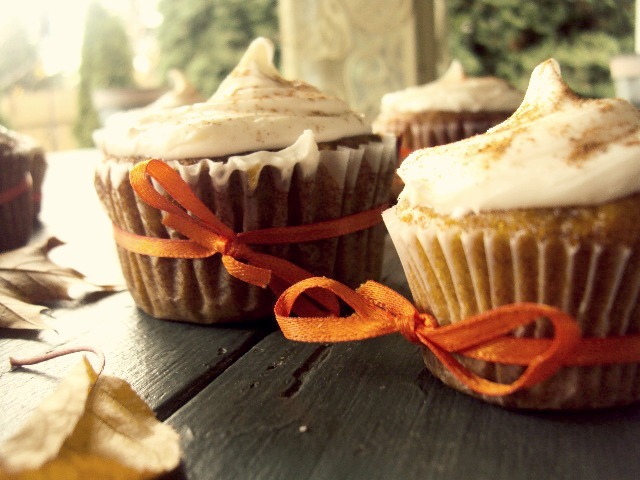 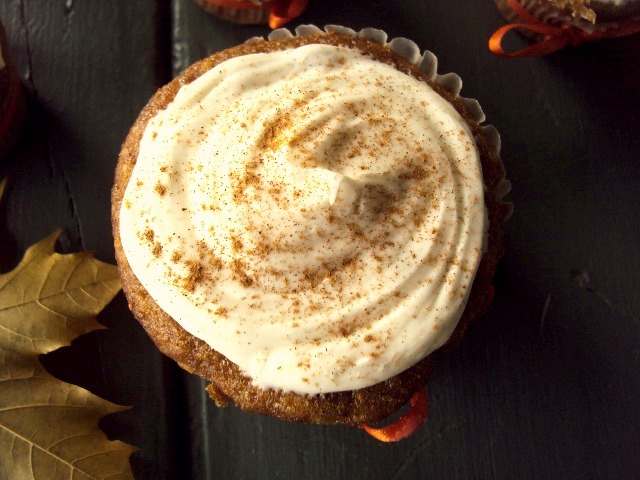 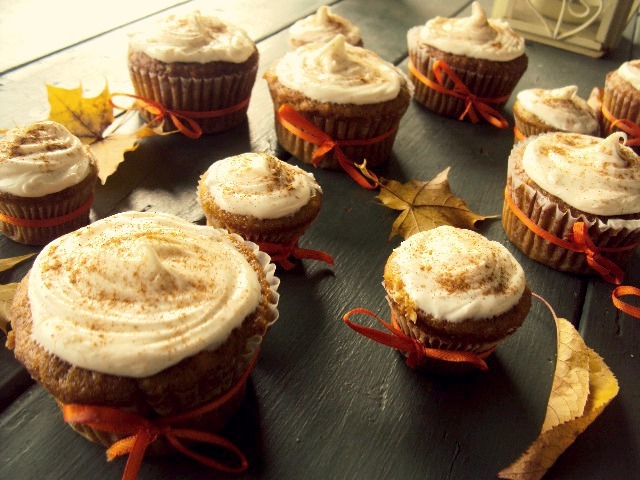 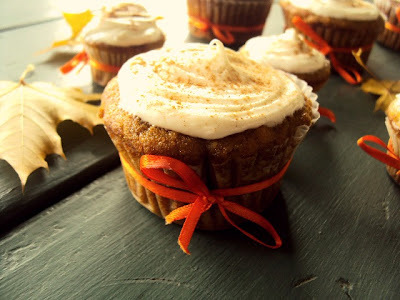 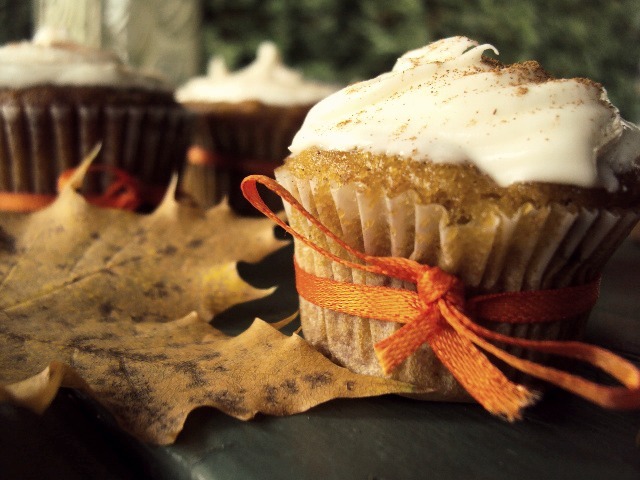 These are basically pumpkin muffins... but they are cupcakes. 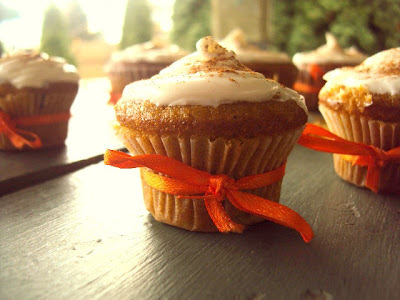 Now mix it all together with a whisk or spatula. I used both, I started out with the spatula then went to the whisk. I didn't get any pictures of the cream cheese mixture before I put it in the cupcakes, I was rushing because I wanted to take the pictures before it got too dark... well, too LATE for that. So what I did for the cream cheese mixture, is I took 4 oz of cream cheese from an 8 oz package at first. 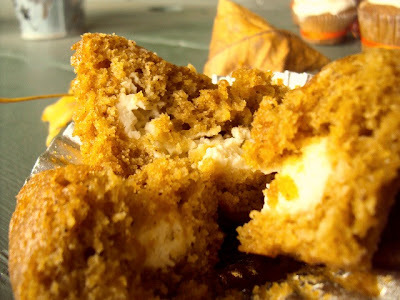 I scraped it into a bowl and poured about 2 tablespoons of sugar into the bowl. I mixed it around and whipped nicely, and then it is ready to be put in the cupcakes. Let cool, frost and enjoy! 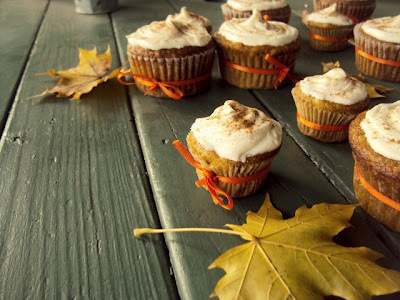 With these cupcakes, I recommend cream cheese frosting. 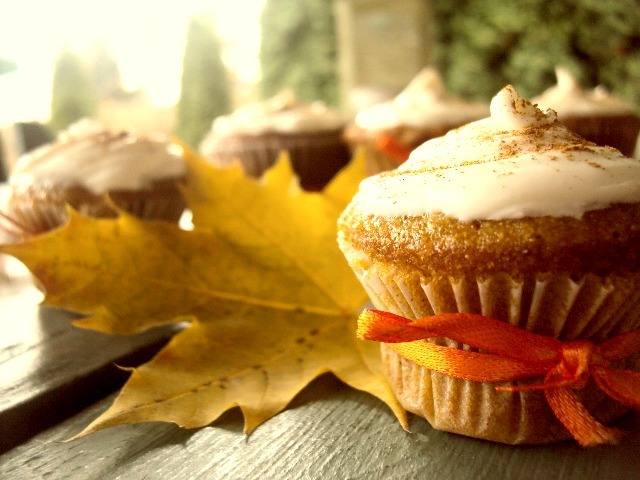 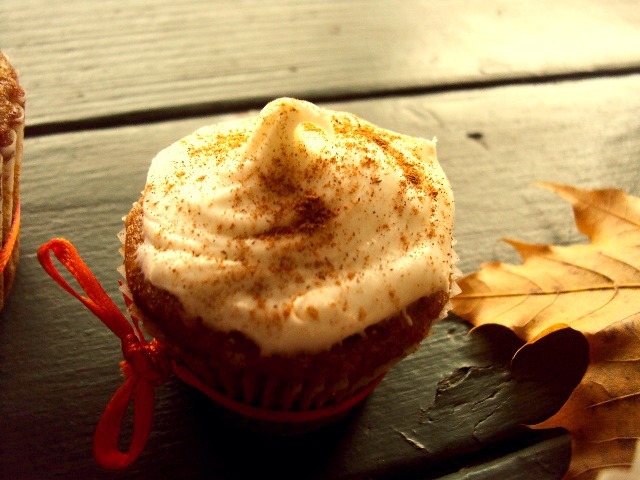 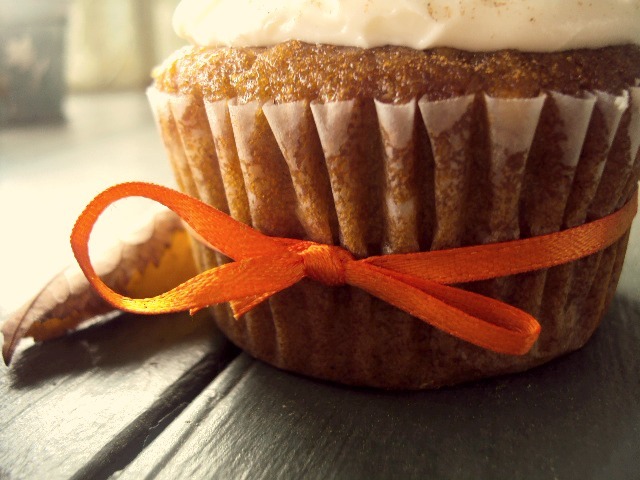 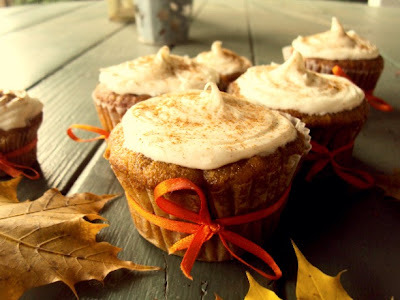 What I also did (as you will see in the later pictures) was I mixed a little bit of pumpkin pie spice and cinnamon together, and sprinkled some onto the cupcakes to give it a cute kind of Autumn look. 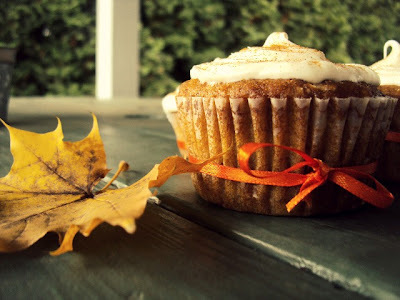 Great pictures, they look yummy! 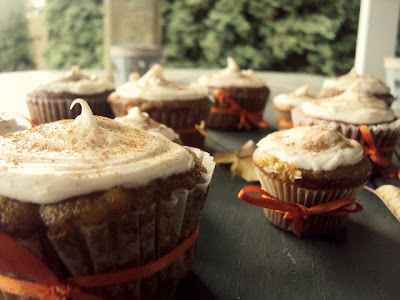 I have pinned this on Pinterest!